Students battle it out to see who ends up on top as the ultimate Mud Volleyball winners hosted by UHDS. Students gathered at the courts behind Bayliss-Henninger Halls for a day full of excitement and mud. Students flocked to North Quad Saturday to experience one of Western Illinois University’s largest, muddiest and messiest traditions. University Housing and Dining Services hosted the 16th annual Bayliss-Henninger Mud Volleyball tournament. The tournament consisted of two leagues, competitive and fun, as 39 teams went head-to-head to see who were the ultimate champs of playing in the mud. Students not enjoyed the game but had a blast jamming to music, eating food, tie-dying shirts and jumping down a 60-foot water slide. 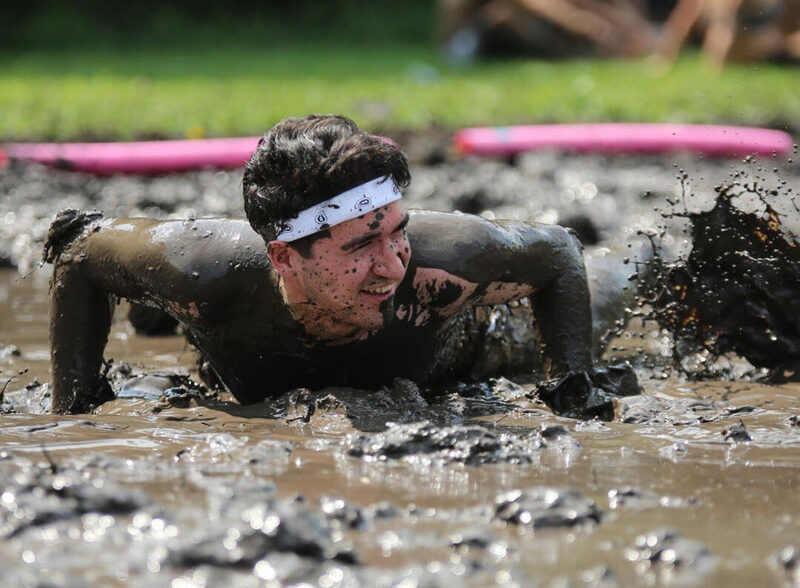 Jeff Waisganis, Tanner 7 Resident Assistant and mud volleyball champion, highly encourages making it out to events hosted on campus like this. Leatherneck pride is something Waisganis holds near and dear to him and wishes to spread that with his residents and the rest of the Western community. UHDS requires a $5 participation fee to help provide the funds for the fire department. This year 39 teams took the court, raising over $1,000 for the Macomb Fire Department.